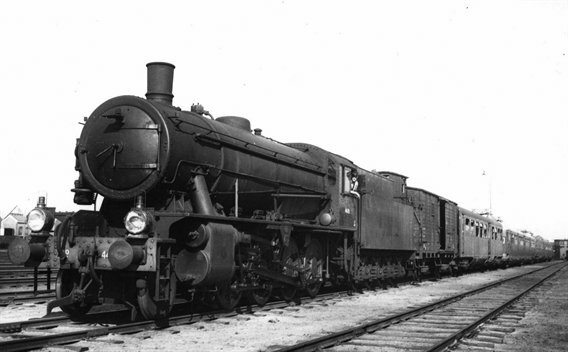 During WWII the Ministry of Supply ordered a fresh stock of locomotives to replenish losses and add to the total needed for the invasion in Europe. Due to the war demands they were kept simple to reduce production and maintenance effort. 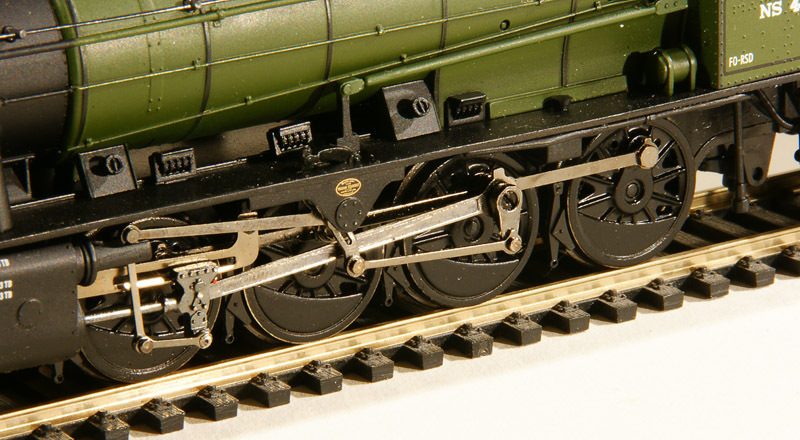 After the liberation of Europe these loco's remained on the continent in large numbers. 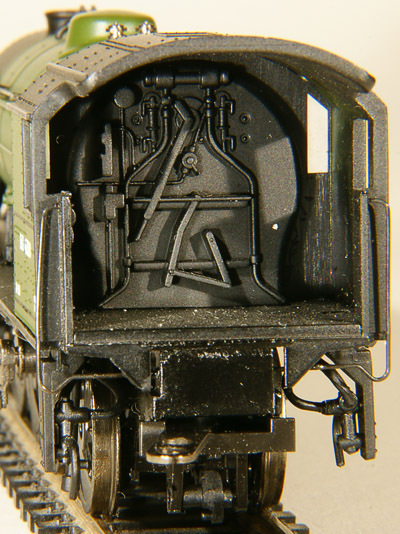 To compensate the tremendous losses of own types the NS used large numbers of the Austerities: 237 of the 2-8-0 type and 103 of the 2-10-0 type. Eventually the NS bought many of them (184 and 103 respectively) the others were returned to the UK. The last of the 4300-4500 series was scrapped in february 1958. One example survived. 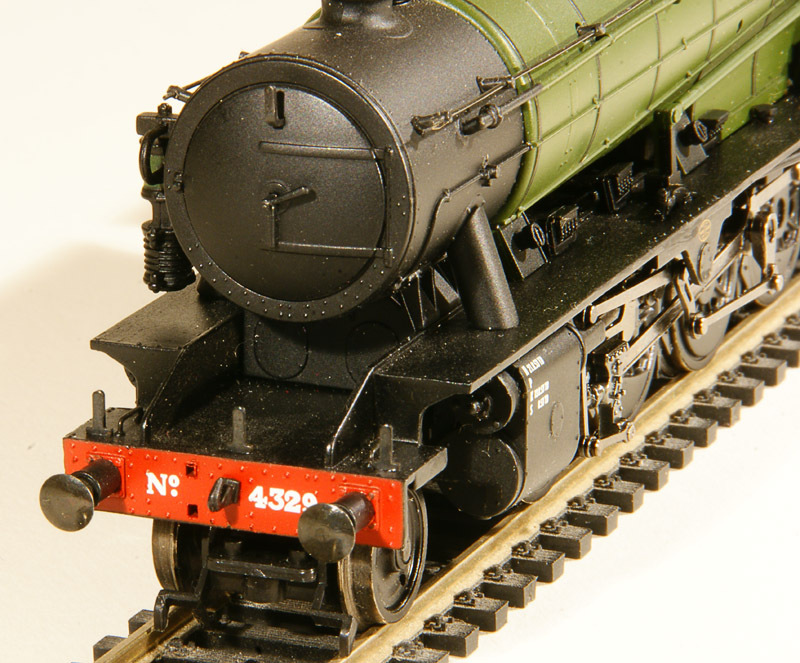 Two, nos 4383 and 4464, were sold to Sweden and stored in the strategical reserve. In the early seventies this reserve was dismantled and the former NS 4464 was bought back by an English iniative (in England none had survived!) and it has now been restored to working order. The other of the two was accidentally scrapped. The now 90733 is not only the sole survivor of its class it also the only remaining operational (ex-)NS mainline locomotive. 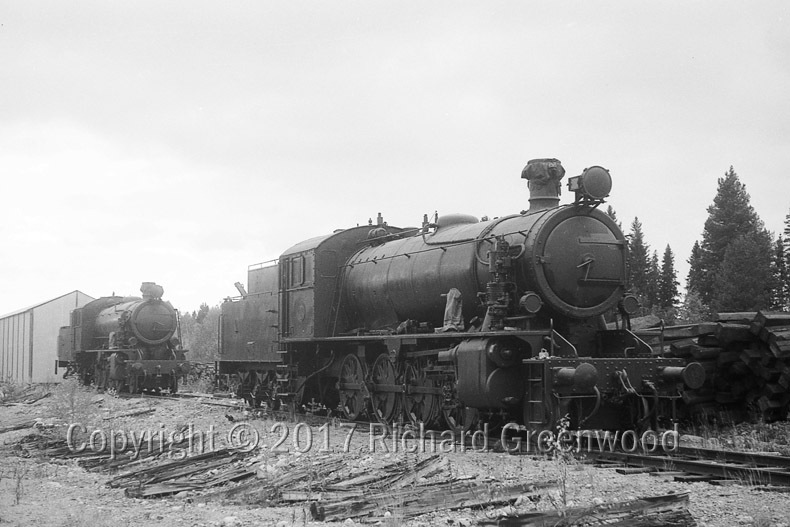 SJ 1930 in front and SJ 1931 at the rear in Mellansjo, 1971. 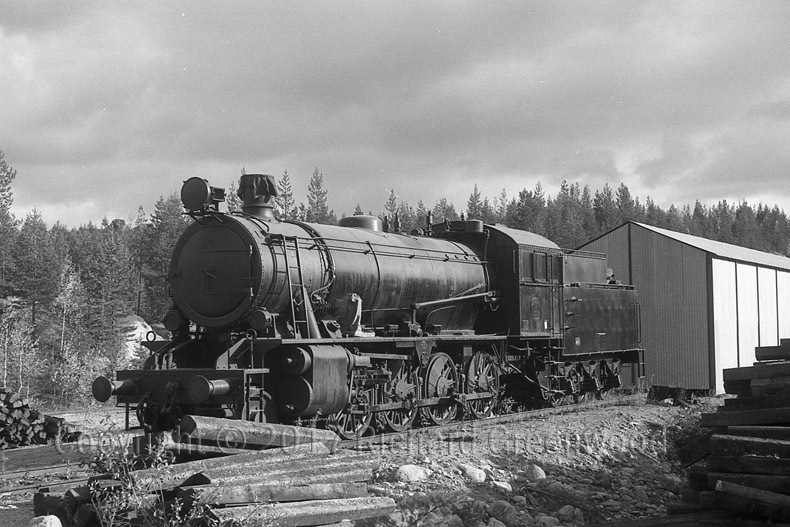 SJ 1930 in Mellansjo, 1971, eventually returned to the UK under number 90733 at the KWVR. 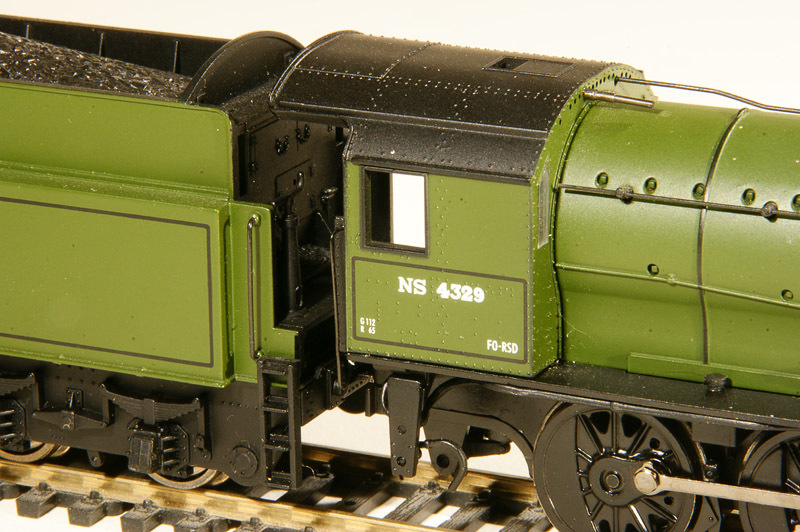 This model depicts the WD 2-8-0 in NS green with black lining. 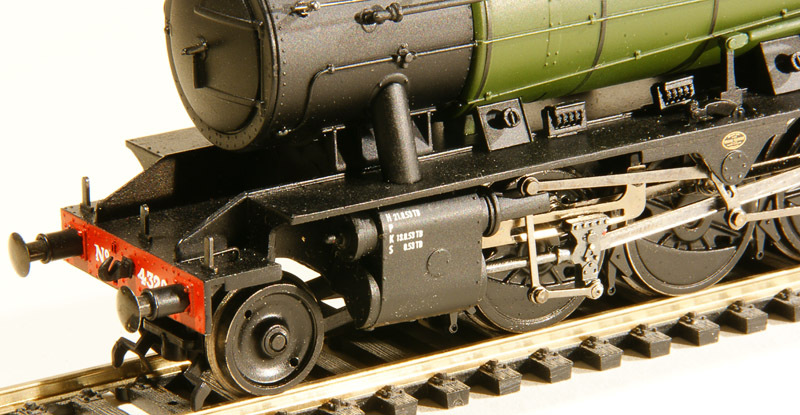 I bought it at the Houten fair for €50 only.The compromise is that this model is at 1:76 (OO scale). 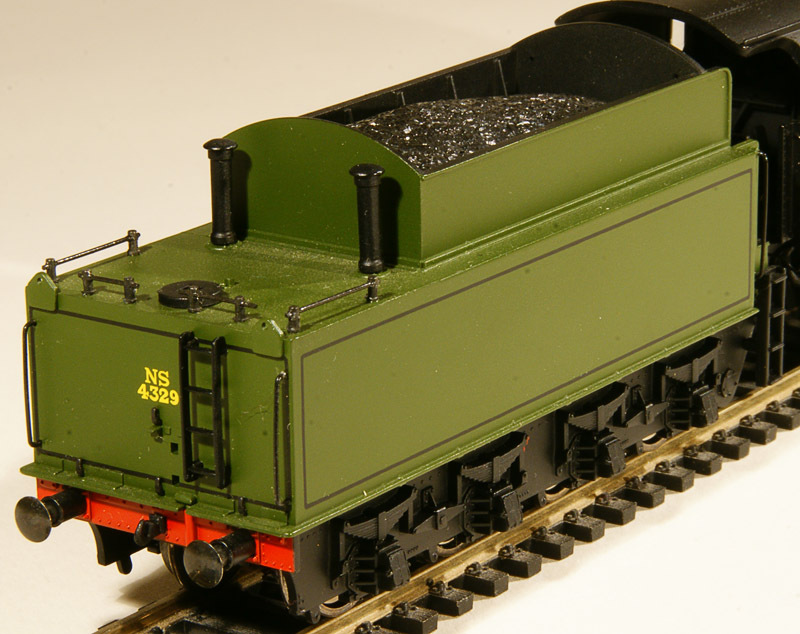 DJH used to make kits in HO scale but prices of these kits soar to as much as €400. The UK profile is much smaller so the difference is not too conspicuous but it still keeps itching. The preserved 2-10-0 in the national railway museum in Utrecht works really slender compared to the larger profiled Dutch loco's. This effect is lost by the OO size. For the rest it is an excellent model.